Readers meet Sherlock Holmes for the first time in A Study in Scarlet. Doctor Watson relates how he met Holmes in the course of an impossible crime investigation which baffled the police. In the second half of the graphic novel, readers follow the detective as he tries to solve a murder in a Mormon community. 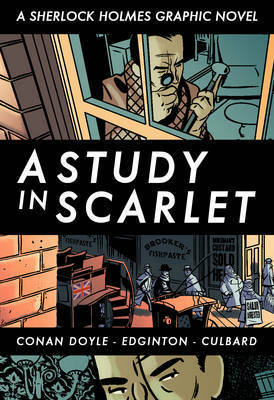 Beautifully illustrated and masterfully adapted by Eisner Award-nominated writer Ian Edginton, A Study in Scarlet is an essential addition to the Sherlock Holmes graphic novel series.